It’s a full day of amazing Holiday fun at Harry’s Boots! It’s the time of year to celebrate the holidays, family, friends and Harry’s Boots rich history here in San Saba, Texas. 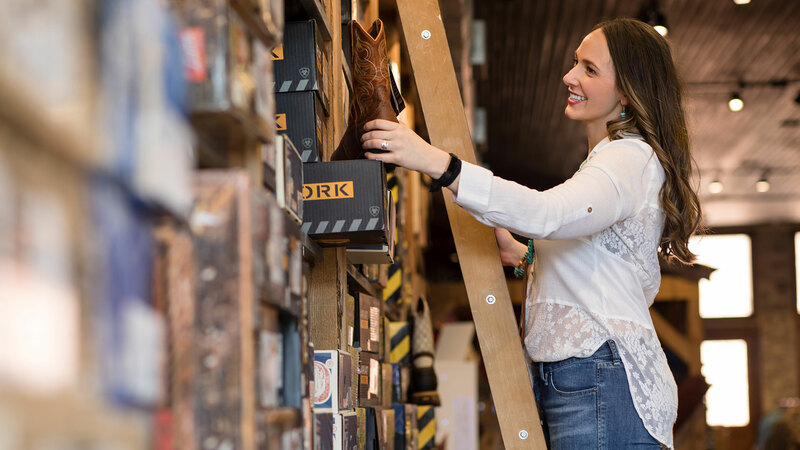 For almost eight decades Harry’s Boots has been bringing style and quality to the Texas Hill Country. We are so proud to serve you all these years! In honor of our 79th year providing the finest quality boots and western wear, we are throwing a huge customer appreciation event! Come on by and stay awhile on December 15th. It’s an all day affair, during our regular store hours, 9am – 5:30pm. Plus, we’ve got a huge, storewide discount that you don’t want to miss! But there’s more. It’s a celebration after all! Throughout the entire day we will be giving away special prizes to lucky customers, and providing free food and drinks, catered by Copper Creek. Shop for the holidays and win free gifts from Harry’s Boots all while dining on fine Texas foods. And best of all, Santa Claus is coming to town! That’s right! The big guy himself will be in-store all day, dressed in his cowboy best, ready to listen to your Christmas wishes. Don’t miss your opportunity to snap a pic with Cowboy Santa Claus himself. 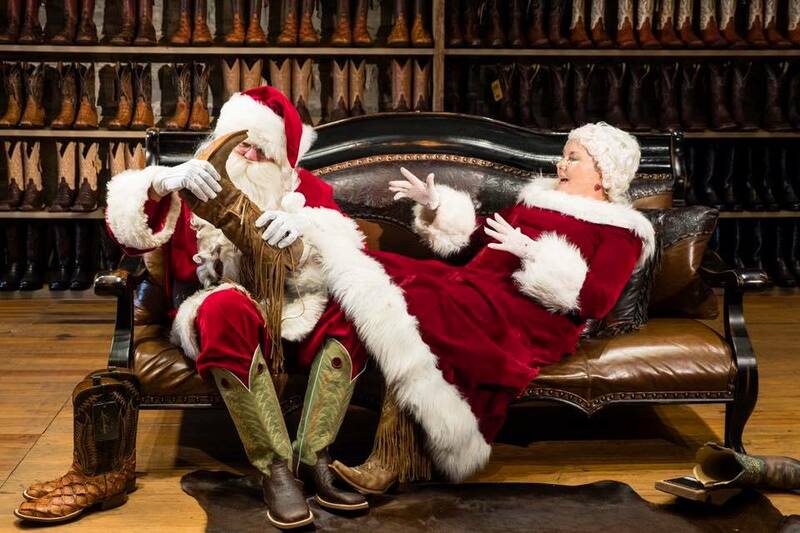 COME MEET COWBOY SANTA AT HARRY’S BOOTS! We can’t wait to celebrate with good food and great friends during our Customer Appreciation Event! See y’all there! COME ON BY AND SAY HO HO HOWDY!